My living room. You remember it, don't you? That's it, up there. There's just as few (*cough* understatement *cough*) problems with it. Twenty minutes later I'm cruising the InterWebz, and right there, the ever-talented Miss Mustard Seed has an article on starting over with a room. She called it "Resetting a Room." Well, friends and neighbors, this is exactly what I'm doing. With my nerve galvanized by an intoxicating combination of you all cheering me on and inspiration from the Divine Miss M (and let's not lie, a couple'a mugs of super dark hot chocolate with cinnamon), I go in. Crash, bang, shuffle, slide, slide, @(*#%)(*098, bash, shuffle, crash. 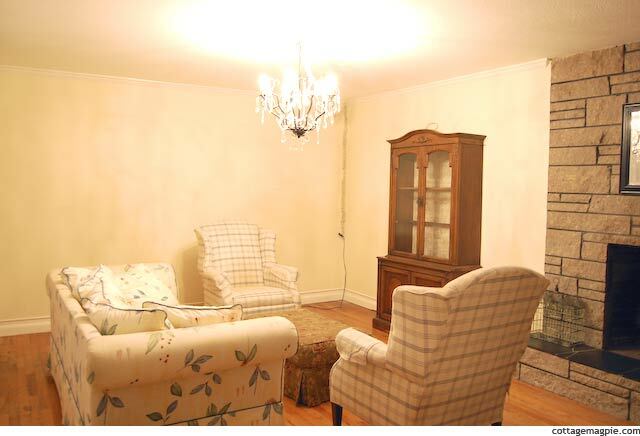 Now everything's out of the room except the the two wing chairs and the chandelier. I add back in the armoire that got displaced when I moved the piano and a new-to-me couch. If you follow me on Facebook, you've seen them both. The armoire was a $35 find at Goodwill, and the couch I found at ReStore for $40 (yes, that's forty) dollars. Not too bad if you shift the furniture over. 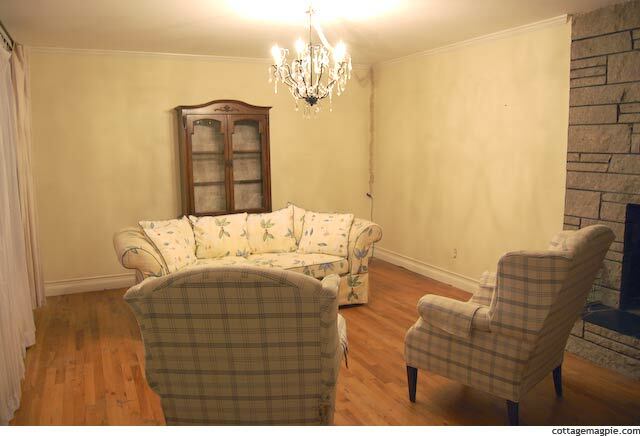 But still nowhere to put end tables, and it makes the room feel really small. What if we turned the couch to face the fireplace? 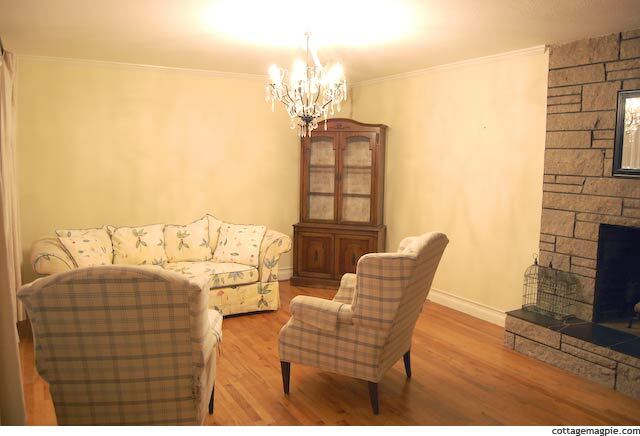 But I think we need to move the armoire back now, so it's in front of the couch, too. It feels good *in* the room, definitely. 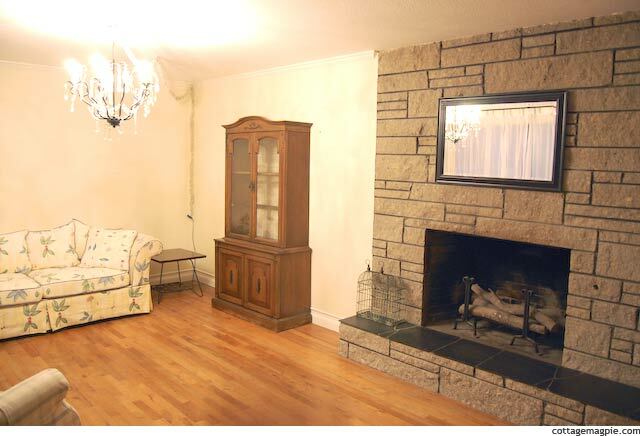 But I still don't love the heavy armoire next to the heavy fireplace. I'll sleep on it and let you know. Any thoughts? Meanwhile, I'm curious: What about you? Have you ever reset a room?